Our LED Fiber Optic Whips feature the world’s most advanced Optical Rave Technology. Space Whips are engineered to outperform all other Fiber Optic Whips on the market by utilizing the highest quality fiber and parts. Our Double Space Whip features two sided luminescent fiber optic bundles, which allows for a whole new style of play. Dual 360 degree swivels allow you to twirl, spin, and body wrap your Whip with the greatest of ease. Enhance your flow with double the possibilities. Prepare yourself to be immersed into a 3D light show you never thought was possible. Pick up a GloFX Space Whip and control galaxies of light with the push of a button. I love my double!! The ball bearings allow you to achieve a flawless dual swivel, while executing moves you can’t with singles. 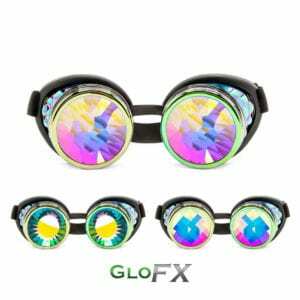 😀 I highly recommend GloFX products! !